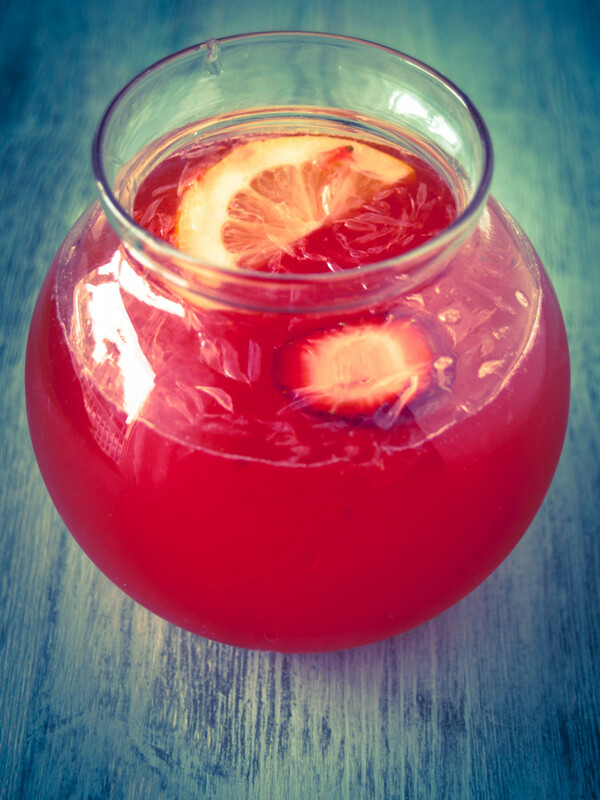 The saccharine smell of strawberries, paired with the tart juice of lemon is absolutely heavenly. The union reminds me of summer in a glass. 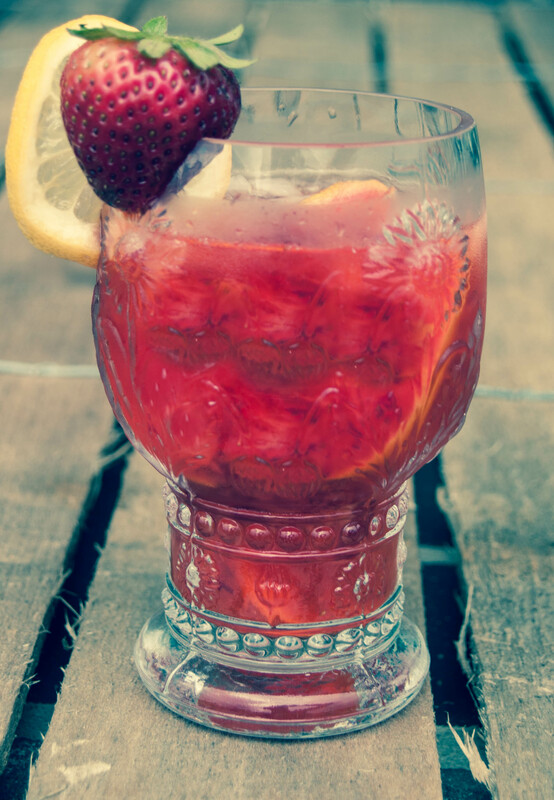 Homemade lemonade by itself is something that makes you feel special but adding strawberries elevates the experience to a new level of Southern comfort. The flavors are muddled together, forced to mingle and blush and burst to release their wonderful essences. Sugar gently falls over the crushed fruit like a cascade of fairy dust. A wave of frigid water calms the battered fruit and leaves us with a pool of summer serenity. 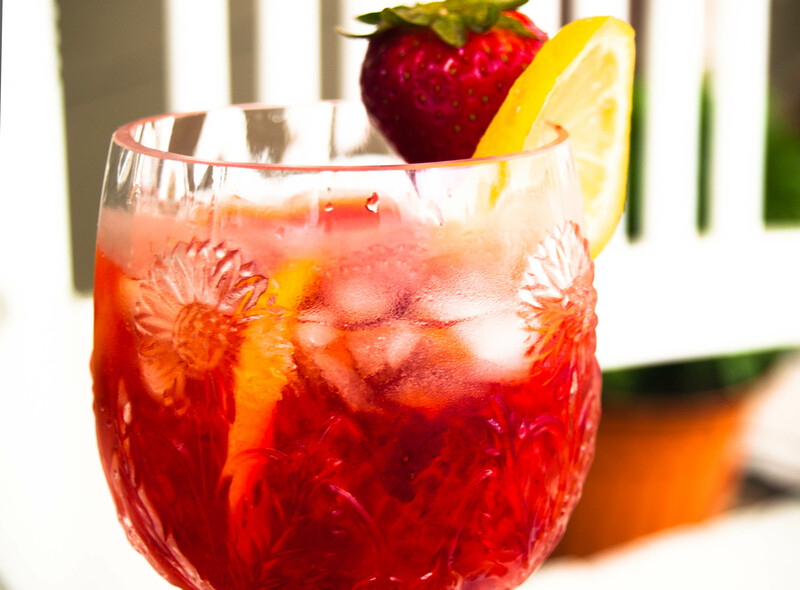 The drink blushes as it hits the lips of the thirstiest souls in the south. Combine lemon slices and strawberries in a bowl. Using a muddler or the flat end of any kitchen utensil, bruise the fruit so that the lemons and strawberries are juiced and crushed well. Add the sugar and let sit for about 5 minutes. Stir well and add the water and ice. Separate between two glasses and enjoy! It all sounds good but the meatball ingredients sounds scrumptious! I love this delicious drink! It makes you feel refreshed and all good inside. 🙂 This magical little drink will warm your heart and cool your tongue all at the same time! 🙂 I love it!